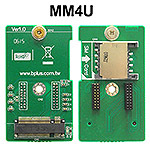 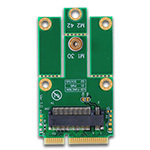 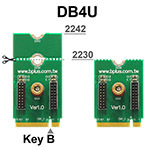 MM4U is vertical extender from M.2 Key B Card slot to M.2 Card together with DB4U. It is very convenient especially to apply“3042 size” M.2 Card module to “2230 / 2242 size” M.2 Card slot. 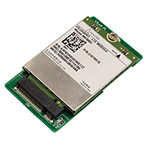 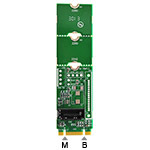 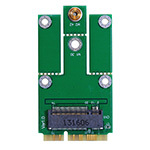 As MM4U has a SIM card slot, wireless M.2 Card modules which require SIM Card such as 3.5G HSPA / 4G / LTE can be used, even though original M.2 slot is not connected to SIM card slot. 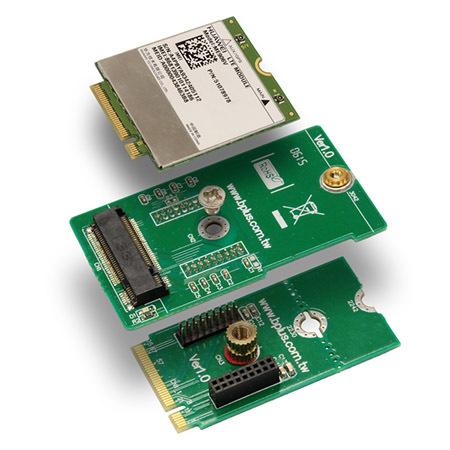 Combination of MM4U and DB4U is the best solution for 3G/LTE M.2 cards evaluation. 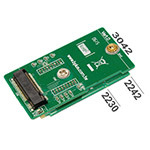 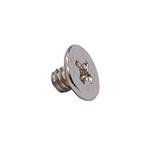 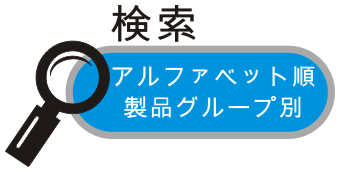 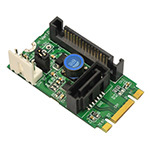 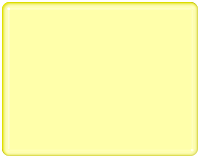 Type B: can insert type 3042 M.2 card to type 2230/2242 type M.2 slot.